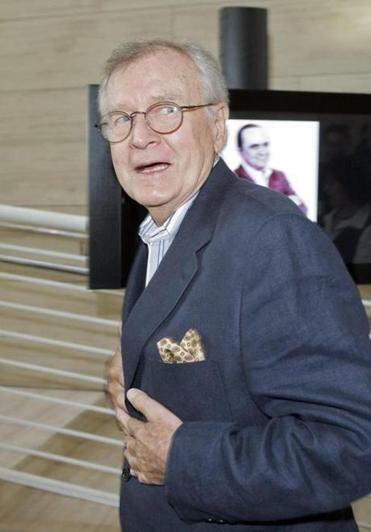 WASHINGTON — Bill Daily, a comic actor best known for his second-banana roles and off-kilter style of humor on two long-running television sitcoms, ‘‘I Dream of Jeannie’’ and ‘‘The Bob Newhart Show,’’ died Tuesday at his son’s home near Santa Fe. He was 91. His son, Patrick, confirmed the death and said there was no specific cause. On ‘‘Jeannie,’’ which aired from 1965 to 1970, Mr. Daily was cast as Major Roger Healey, an astronaut whose best friend was another astronaut, Tony Nelson, played by Hagman. Nelson was the ‘‘master’’ of a shapely 2,000-year-old genie played by Eden. After guest roles in other programs, including ‘‘The Mary Tyler Moore Show,’’ Mr. Daily landed a featured part in ‘‘The Bob Newhart Show’’ as the neurotic next-door neighbor of Newhart’s character, psychologist Robert Hartley, and his wife, played by Pleshette. As Howard Borden, Mr. Daily was continually barging into the Hartleys’ apartment, describing his latest predicament. He uttered the phrase ‘‘Hi, Bob’’ 118 times during the sitcom’s run from 1972 to 1978. ‘‘Howard, how long will dessert take?’’ Newhart asks. The writing on the ‘‘Newhart Show’’ was so subtle, Mr. Daily said, that viewers had to pay close attention to understand the humor. By the time he was 16, Mr. Daily was playing bass in jazz bands and writing comedy routines for his group. He played in the band of an early precursor of the ‘‘The Tonight Show’’ in the late 1940s. After serving in the Army during the Korean War, Mr. Daily began working in television in Chicago as a writer, announcer, floor manager, and director. All the while, he was writing and performing stand-up comedy inspired by Bob Hope and Jack Benny. In one of his routines, he played a ventriloquist whose dummy refused to speak. Mr. Daily had small acting roles on the sitcoms ‘‘Bewitched’’ and ‘‘My Mother the Car’’ before Sidney Sheldon, the creator of ‘‘I Dream of Jeannie,’’ tapped him to play Major Healey. In the 1980s, Mr. Daily was cast as the lead in several comedy series, including ‘‘Aloha Paradise’’ and ‘‘Starting From Scratch,’’ that were soon canceled. He had a recurring role on ‘‘ALF,’’ a late-1980s comedy about a furry creature arrived on earth from outer space. His marriages to Patricia Anderson and Vivian Sanchez ended in divorce. His third wife, the former Rebecca Duemler, died in 2010. A daughter from his first marriage, Kimberly, died several years ago. He leaves his son, Patrick, a motion-picture key grip, of Lamy, N.M. In one episode of ‘‘The Bob Newhart Show,’’ Howard returns home to find that his apartment has been robbed of everything but a broken vacuum cleaner.